We offer a wide range of care labels to our customers. 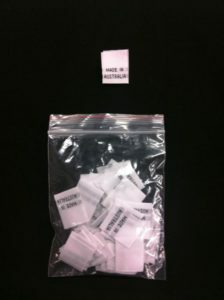 Firstly we carry in stock pre-printed care instructions and sizing labels. These all come on rolls of 1000 labels. 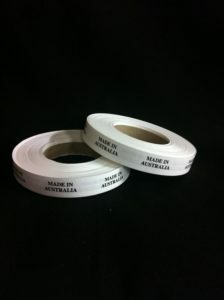 In addition we carry on the shelf indiviual size labels pre-printed, woven and stick on. 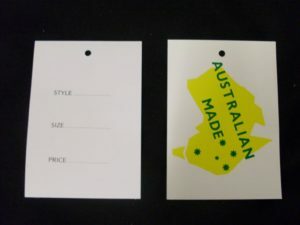 Further more we have pre-printed speciality labels such as fire danger labels. We also offer our customers an in house care label printing service on high quality and wash safe ECONO or acetate material. We can produce whatever labels you want with low minium quantities. Please email trims@emgreenfield.com or call and ask for Stephen for more information.